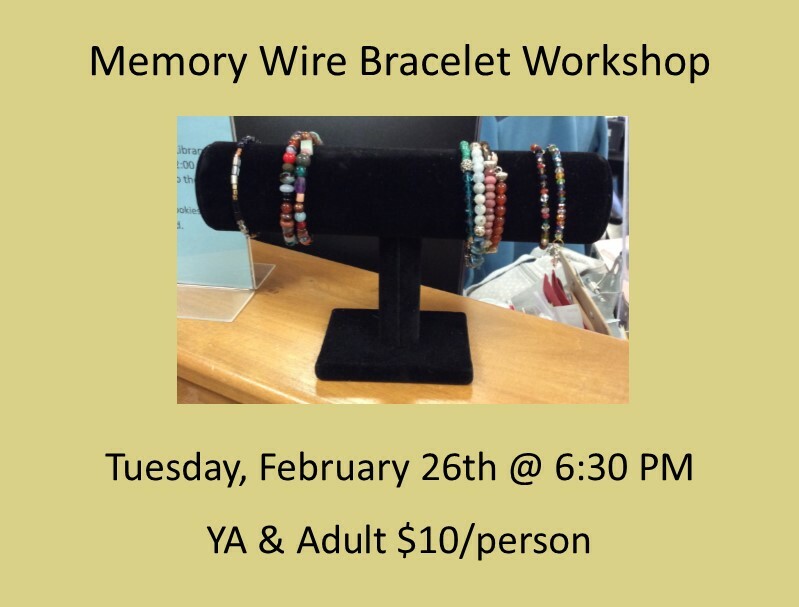 Come to the library to make your very own memory wire bracelet. The cost of the workshop is $10.00 which includes materials and instruction. Registration is required.